India rejected Australia's request to send warships to participate in big naval exercises in the Bay of Bengal. News reports painted the rejection as a way for India to appease China, or at least avoid needlessly provoking Beijing. China's growing assertiveness and economic heft across Asia, combined with a newly reticent United States, is making countries in the region wonder if and when they'll have to choose sides between Washington and Beijing. 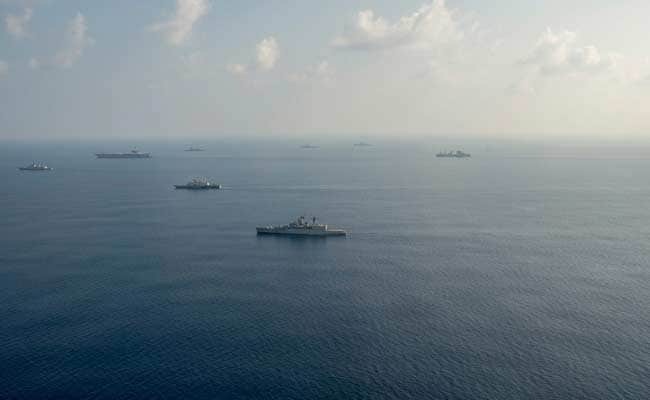 That's exactly what appeared to happen last week, after India rejected Australia's request to send warships to participate in big naval exercises in the Bay of Bengal. News reports painted the rejection as a way for India to appease China, or at least avoid needlessly provoking Beijing. But former naval officers and analysts say the rejection more likely reflects New Delhi's worries that Australia may not be an entirely reliable security partner. "When it comes to formulation of a collective response to China, including in terms of 'moderating' Beijing's assertive behavior, Australia does not particularly inspire confidence," Indian Capt. Gurpreet Khurana, who also directs the National Maritime Foundation in New Delhi, told Foreign Policy. That's because the United States, India, Japan, and Australia have tried this before - only to see Australia walk away from four-way military exercises. In 2007, India, the United States, Japan, and Australia held naval exercises, along with Singapore. But China objected strongly, lodging diplomatic protests to each of the four main participants, as one goal of the quad was clearly a response to China's own expanding maritime interests. After Kevin Rudd became Australian Prime Minister, he held several meetings with Chinese officials, and in February 2008 Australia withdrew from the quad in a joint press conference with the Chinese foreign minister. "New Delhi hasn't forgotten Canberra's hasty capitulation a decade ago," said Nitin A. Gokhale, a New Delhi-based national security analyst, in an email to FP. "Moreover, the foreign policy establishment is aware of the deep economic and political relations that Australia and China have." Canberra has at times adopted a conciliatory approach to China, its largest trading partner. It has declined to participate in U.S.-led freedom of navigation operations in the South China Sea to push back against China's expansive claims of sovereignty there, though Australia has participated in multilateral naval war games there. And, as demonstrated in the short-lived quadrilateral exercises of 2007, a change in government can easily usher in an about-face in its policy towards Beijing. But today, Australian security experts say, Canberra is eager to help make sure that one country doesn't come to dominate the Asia-Pacific region. "Australia is quietly seeking to build and support informal coalitions to balance Chinese power," said Rory Medcalf, head of the National Security College at the Australian National University. He said any Indian doubts about Australia being willing and able to help bolster regional stability are misplaced. "Any such Indian concerns misread the depth of Australian security planners' determination to build a multipolar regional order. India may also not yet fully appreciate the extent of Australia's capabilities as a maritime power," Medcalf said. For decades, India and China have had a tense relationship, thanks to a disputed border which led to a war in 1962. China's increasingly tight economic and defense relationship with Pakistan - including the China Pakistan Economic Corridor - doesn't ease those tensions. And they are spreading to the seas as well, as China has expanded its naval ambitions beyond just the South China Sea to include the wider Indian Ocean region. Beijing is building port facilities that can be used for commercial and military purposes from Sri Lanka to the Horn of Africa, and just established its first overseas military base in Djibouti. China has sent submarines into the Indian Ocean on at least six occasions since 2013, including several nuclear submarine deployments that can't really be explained by China's ongoing anti-piracy patrols. That has made Indian naval planners wary of being encircled - and emboldened Prime Minister Narendra Modi to push back against Beijing. "I don't believe the hesitation on [Australia joining the exercises] is primarily at this point driven by concerns about provoking China," said Tanvi Madan, director of the India Project at Brookings, in an interview with FP. "[Modi's] government, if anything, domestically has been criticized for taking too many provocative steps towards China." After more than twenty years of bilateral naval drills between the United States and India in the Bay of Bengal, Japan joined in 2014, just as Japanese Prime Minister Shinzo Abe looked to expand the country's traditionally pacifist defensive forces into a more active regional role. But that trilateral group has yet to expand to include Australia, even though Aussies have sought to join for two years. Rather, New Delhi and Canberra are taking steps to firm up their own bilateral cooperation first. In September 2015, India and Australia held bilateral naval exercises, known as AUSINDEX, in the Bay of Bengal, focusing on anti-submarine warfare with a P-3 anti-submarine reconnaissance plane from Australia and a P-8 long-range anti-sub aircraft from India, along with naval vessels. Retired Vice Admiral Anup Singh, who led the Indian Navy's Eastern Command until 2011, highlighted that India's current approach to Australia's participation isn't a full-stop rejection, but rather more of a wait-and-see approach. "The Indian side has told the Aussies that we have to go through the bilateral [exercises] first," Singh told FP in an email. Other experts agree. 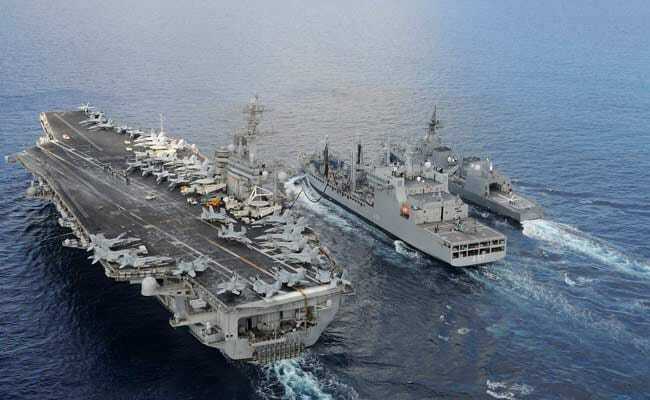 "In my view, they wanted to wait for at least one more edition of Australia-India bilateral naval exercise to go through before firming up their opinion about Australia's long-term intentions and capacity to stay the course," said Gokhale.